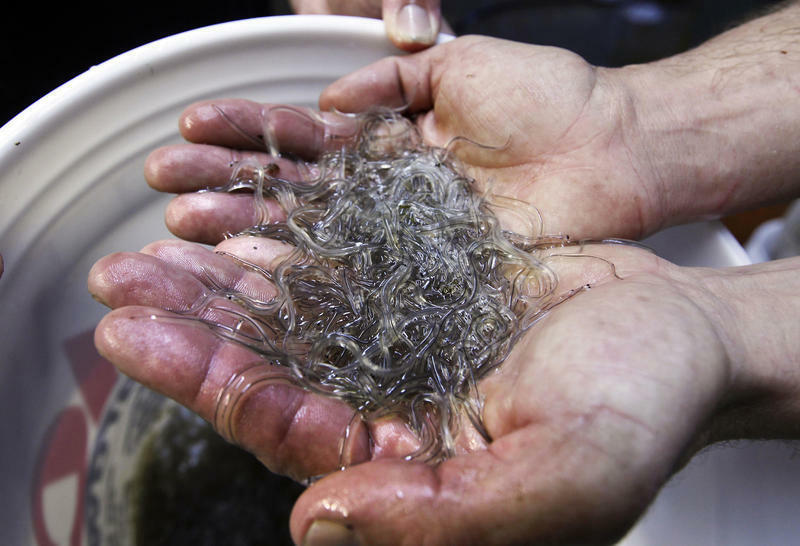 In this March 24, 2012, file photo, a man holds elvers, young, translucent eels, in Portland, Maine. The previous height was reported in 2015, at just under $2,200 a pound. Elvers are by far Maine's most valuable fishery by pound, but the elver catch is limited by a quota, so in absolute terms it's one of the least valuable in the state. The season continues until June 7, or until the quota is met. 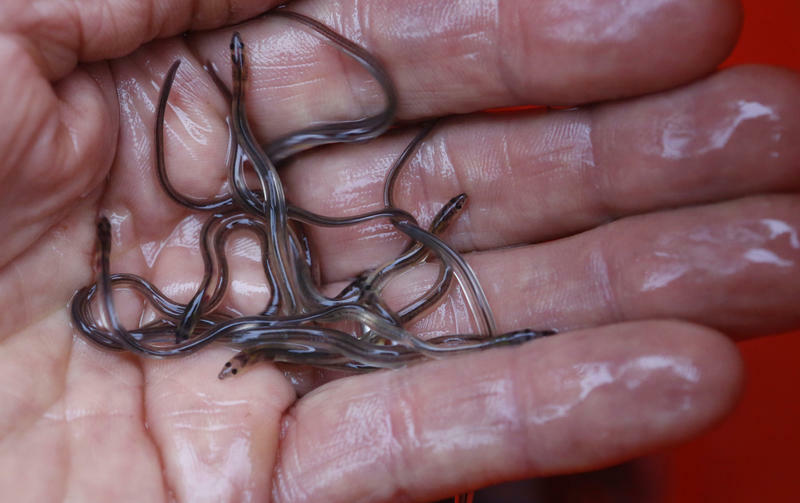 PORTLAND, Maine - Fishermen from Maine are planning to use an interstate hearing to make the case they should be allowed to catch more baby eels. Baby eels, called elvers, are worth more than $1,000 per pound at the docks in Maine because of the role they play in Asian aquaculture. Maine's the only state in the country with a significant fishery for elvers. PORTLAND, Maine — Spring is in the air and baby eels are in the rivers. Or at least that's what Maine fishermen hope. The state's big-money baby eel fishery is scheduled to get started on Thursday. Fishermen seek the eels, called elvers, in rivers and streams so they can be sold to Asian aquaculture companies as seed stock. The elvers are frequently worth more than $1,000 per pound, and this year is expected to be especially lucrative because of supply issues elsewhere in the world. Maine is the only state in the U.S. with a significant elver fishery.